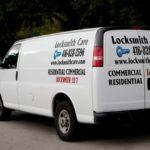 When it comes to locksmith services in Toronto and the Greater Toronto Area, all residents in the neighborhood declare that they consider the rapidity of the service as important as the quality. 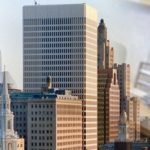 Here we will consider why fast response is so important, and why the precise service is a basic requirement for residential and commercial customers. Fast reaction time – why is it crucial? The fast reaction time of locksmiths, not only in Toronto, but anywhere in the world, is crucial for residents and to business owners. This is because, as a rule, every problem with lock is urgent. Like when you are locked out of your home and office, like when you need to make a key duplicate, you do not want to wait too long. 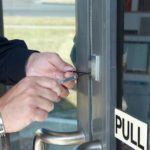 It is especially important to find locksmith services in Toronto when your property is vulnerable to theft and vandalism. If the lock on your front door suddenly breaks down, or it turns out that your key has disappeared without a trace, and even worse, you suspect it is stolen, the quick reaction of the locksmith will help you stop worrying. The rapidity, with which the good companies act, increases the confidence among the regular customers. If you call a locksmith and have to wait for hours, you will probably never seek his help again. Even the flawless professional will leave you with an impression of poor service if he does not appear in the short time interval that is critical to you and protection of your property and loved ones. 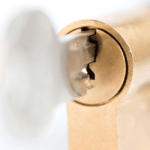 Quality work – what does that mean in locksmith services? Along with the rapidity of the professional’s reaction, the quality of the services offered is equally important. Speed and quality go hand in hand, and no client would compromise with any of them. 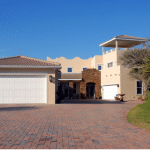 A quality service is one in which the professional and his team show that they can handle with ease any problem. The locksmith must arrive not only quickly but also well prepared to solve your problem. This means that he must have the necessary professional equipment and flawless knowledge of any type of locking hardware used today. To help you, the locksmith should know both the oldest mechanical locks and the latest electronic locks and access control systems. Quality locksmith services in Toronto, according to residents of the region, offer companies working with the last generation of professional equipment. Good professional equipment allows you to shorten the time for performing different procedures repeatedly, while eliminating any possibility of complications or damage to the client’s property. The ideal locksmith service for all users is the one that includes a third extra component – affordable price. As a rule, locksmith services are not the cheapest, so if you come to a locksmith firm capable of responding quickly and adequately at a lower cost, you will certainly be pleased. If needed, you will look again for the same team, and you will even recommend it to your relatives, colleagues and friends.